Provde the chart with a title here. More information about this topic can be found here. 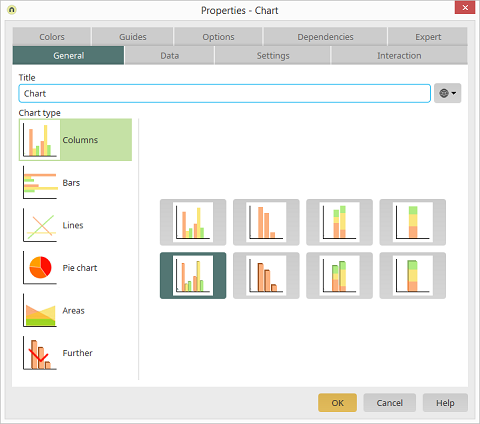 Once you have selected the chart type on the left (Columns, Bars, Lines, Pie chart, Areas and Further), you can choose from the different suboptions on the right.